Hey y'all! So after being sick for the past few weeks, I'm feeling better and getting back into my blog post schedule. Since I missed last weeks post featuring a reveal of our home, I decided that I'll be sharing it on Sunday. So keep your eyes peeled for a little reveal of my office, even thought it's still a work in progress..like so many of our spaces. what do you have to figure out for spring training? That's a loaded question, but here it is! This week I wanted to share a little bit about Spring Training and how we prepare for the process. This is our first Spring Training in Arizona that we've had to prepare for, so a little bit more planning was required. We have only ever 'Spring Trained' in Florida up until part of last spring. I don't need to tell you about last spring because I know I've shared it (but I will share all of the details and what it was like for us soon!) but it was so incredibly chaotic. So this Spring Training we had to nail down living for the 6-8 weeks of Spring Training. This type of task was always a duty of mine, but since Christian has been much more proactive in getting things situated. So he and two teammates found a place on their own! Yes, on their own. (Insert praise hand emoji here!) There were moments during this process that I felt like their plans were going to fall through. So I had some options lined up just in case, but finding housing within your budget can certainly be a challenge. But thankfully, they didn't need my contingency plans and they do have a place to stay. In previous Spring Training and Seasons, I've always traveled with Christian. That is, when all of the destinations were on the East Coast. Now that all of our destinations are on the West Coast, things have certainly changed and become way more difficult. 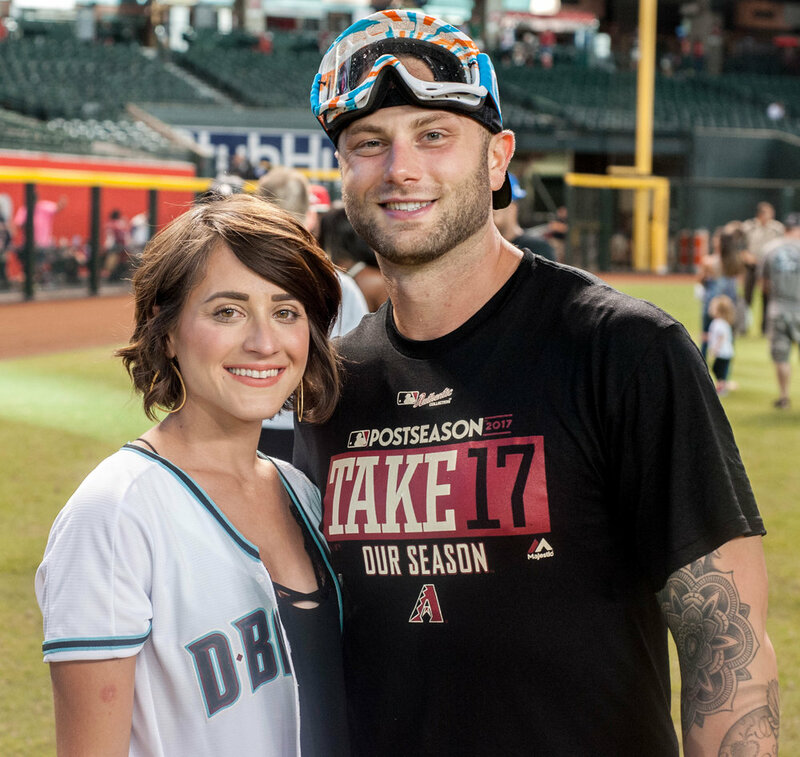 We're still in an in between spot where Christian could stay in Phoenix with the Diamondbacks for the season or he could head back to AAA with Reno. Fingers crossed for the first option happening; but in all honestly, anything could happen! So I'll just keep praying my heart out for him. We've sorta learned not to get set on any plans that we make. Currently our plan is to wait and see what happens with Spring Training! If it's best case scenario, then I will most likely be heading out to the West Coast with the pups for the season. But if it's back to Reno, I'll just go visit Christian each month. So that's kind of where we are at! Another part of this process includes getting your belongings and vehicle out there. So we had to make sure everything was packed tight and safe. I got all of Christians toiletries and essentials together in the weeks prior to his departure. He handled packing up his baseball equipment backs and suitcase. We packed it all in the truck and shipped the truck out to Arizona. Now, I told Christian that I'd drive out there with him but he was not about that 24+ hour drive so shipping his truck was the only remaining option! Which we've always shipped my car and I've always driven his truck to our next destination. I prefer to drive that fly (that's just how I'm wired) and I prefer to travel with our pups that way, too. I'm planning a trip to Arizona for the last week or so in March. Being that Christian's birthday is 3/28, I've missed it past years for so many different reasons. Like being stuck on the East Coast preparing for the biggest move of our lives to our first ever home! LOL. So I've made it my goal to be with him on his birthday! If you want to know the latest on what's going on in this baseball wife's life, make sure you follow along on Instagram. (I share the most up to date information on my story!) I'll be bringing y'all along with me there once I am out in Arizona. If you have any specific questions or topics regarding the baseball wife life, make sure to send them my way! Thanks for reading!